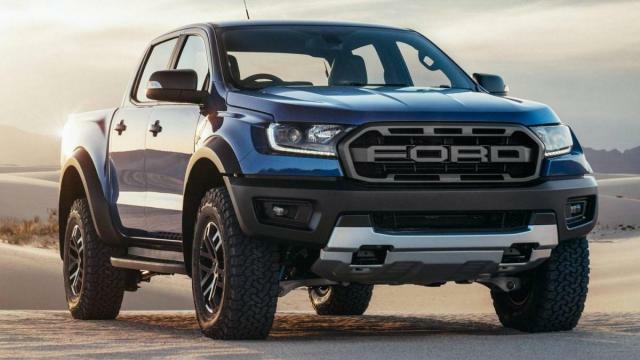 As thirsty as we all are to finally see a new Ford Bronco, an allegedly leaked product plan suggests that we’ll have to wait until we get through reveals of the 2020 Ford Explorer and likely a refreshed Ford F-150 first. The supposed product plan was seen by the folks over at OffRoad.com, and apparently it outlined a plan to reveal the 2020 Ford Explorer, which we’ve already kind of seen, and a new F-Series which is likely a refreshed F-150 before we can get to the goods. The Explorer will drop at the 2019 North American International Auto Show in Detroit next month, and OffRoad speculates that the new F-Series “full-size pickup” will follow sometime in the second half of 2019. The new F-Series will also probably introduce a hybrid pickup, which will be, well, something. But just don’t count on too many surprises for the Big Bronco any time soon, unless something leaks. The Baby Bronco already leaked (also through OffRoad.com), but evidently there was no mention of it in this newly seen product plan. Considering Ford’s already issued a fairly revealing teaser of the Baby Bronco, that could also show up in Detroit, or New York show a few months later, or even Los Angeles much later. Now, Ford has already promised everybody that the new Bronco is coming in 2020, but it’s not clear if that means it’ll be a 2020 model year revealed in 2019, or a 2021 model year revealed in 2020. Model years are stupid that way. they should have the big FORD wording on their grill. yup saw quite a numbers when at Thailand. it stood out from the Toyota, Mit ,Isuzu, chevy etc. My observation is Isuzu has the most followers. Edited by Hamburger, 21 December 2018 - 11:05 AM. My fren juz bought Ford Ranger Wildtrak. Grill is usual blue oval. Cameron Highland has highest concentration of pickup. Detroit — Ford Motor Co. is giving its 2020 Explorer a complete redesign — and switching the stalwart SUV to a rear-wheel drive build — as it scraps for market share in the highly competitive mid-size SUV segment. The sixth-generation Explorer debuted Wednesday night at Ford Field, five days ahead of the beginning of press days of the North American International Auto Show. The 2020 Explorer has been reworked from the ground up. The car-based platform that its predecessor sat on is replaced with Ford's new rear-wheel drive unibody "architecture," one of five builds the automaker is transitioning to as it launches new models. The Dearborn automaker has packed the the Explorer with safety and driver-assist features new to the vehicle. Ford officials hope the new SUV will reverse a slight sales slip seen in 2018 as the automaker devotes more resources to its SUV lineup, and cuts back spending on traditional sedans. The Explorer will be the first all-new SUV under the Ford nameplate since the EcoSport compact SUV hit the market a year ago. Matt DeLorenzo, senior managing editor at Kelley Blue Book, called it "a significant vehicle in that it’s a return to more traditional SUV/truck layout with a longitudinal engine mount, rear-drive in two-wheel drive. The Explorer competes with rival General Motors Co.'s Chevrolet Tahoe and Traverse, GMC's Yukon and Acadia, and some foreign brands including Toyota's Highlander. With the Explorer's redesign and shift to rear-wheel drive, the Blue Oval is looking to take a bite out of luxury competition like the Range Rover. With the performance ST variant, Ford is hoping to lure would-be Jeep Trackhawk buyers. The new Explorer gets a more athletic stance geared toward aesthetics as much as capability, Ford engineers said. The vehicle's front end is stout; the hood tapers to the back end; it has better on- and off-road capability, and can tow 600 more pounds than the previous model. While the base model is rear-wheel drive only, all-wheel drive is available. It gets a new Terrain Management System with seven drive modes. Engine options include a 3.0-liter turbocharged EcoBoost V6 projected to produce 365 horsepower and 380 pound-feet of torque using 93-octane gas. The standard engine is a 2.3-liter EcoBoost engine mated to a 10-speed transmission, cranking out 300 horsepower and 310 pound-feet of torque. The new model will have six trims: standard, XLT, Limited, Limited Hybrid, ST and Platinum. Ford officials said options are important. The Explorer is vital to the lineup — in 2018, Ford sold 227,732. The latest Explorer will cost $400 more than its predecessor, which retails for $32,365. Ford officials said that's because of the new technology they've added to the SUV. It comes standard with Ford's suite of driver-assist features in the Co-Pilot360 package. That includes pre-collision assist, blind-spot detection, lane-keeping assist, rear-view camera and auto high-beams. The Explorer gets some new technology as well. Standard on Explorer Platinum, the SUV gets Active Park Assist 2.0, which can parallel or perpendicular park the vehicle with the touch of a button. Drivers won't have to touch the brake or gas pedal. The SUV also has available intelligent adaptive cruise-control, which uses cameras to read speed signs and adjust the speed. Inside, the SUV gets standard second-row captain chairs on the XLT trim and up. The ST and Platinum trims have optional vertical 10.1-inch touch screen displays on the center stack — a horizontal 8-inch display is standard. The SUV comes standard with Ford's SYNC 3 system. The rear-wheel drive Explorer has available 2.3-liter twin-turbocharged engine that comes standard on base, XLT and Limited models, and a 3.0-liter twin-turbocharged V6 on the Explorer Platinum. Ford says the rear-wheel platform allows more towing capability. The 3.0-liter engine can tow up to 5,600 pounds; the 2.3-liter with a trailer tow package can tow up to 5,300 pounds. It's built at Ford's Chicago Assembly Plant and hits showrooms this summer. Look like a 5m suv. 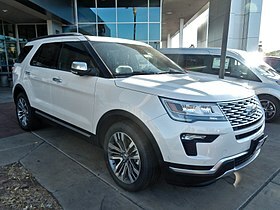 Just recently read an interesting article about new Ford Explorer 2019 And here is the information about the model 2020. I'm in shock. Thanks for the review, I will read the information. Question: Will the on-board computer be the same as the 2019 model? Edited by MyCarHonda, 06 April 2019 - 04:54 PM.